The opposition United Workers Party (UWP) have filed three election petitions in the Dominica High Court in relation to the conduct of the December 18 general election, and alleged wrongdoing by the winning Dominica Labour Party (DLP). 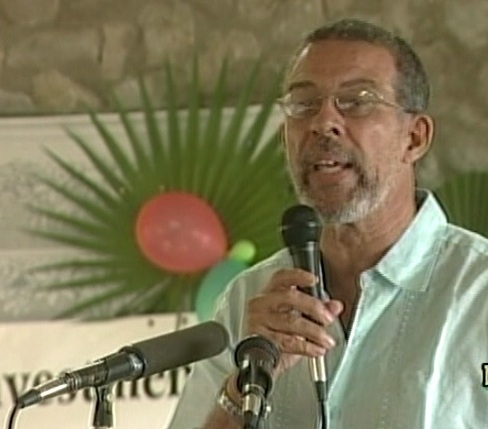 Former UWP leader Ron Green have challenged his election loss in court. One of the petitions directly questions the legality of Prime Minister Roosevelt Skerrit's eligibility for nomination as a candidate for electoral office. The petition claims that Skerrit is a French citizen and the holder of a French passport. Under the laws of Dominica, any candidate offering himself for elections could not have obtained legal citizenship of another country after the age of twenty-one. The two other petitions have to do with claimed denials of the UWP's access to state media throughout the election campaign; and, the validity of the declared results for the constituency of La Plaine, where the incumbent Ron Green, leader of the UWP, was defeated by two votes following an official recount on the morning after the elections. Green had represented the constituency since 1995 and at the 2005 general election, had won with a margin of 126 votes. On the night of the December 18 election, he was first declared victor with a slim two-vote majority, but lost in a recount the following day by two votes. At the time he pledged to contest the result in court. In the 2005 election, The Dominica Labour Party won the Castlebruce seat by one vote, and the result was later upheld in the courts. Meanwhile, Senior Counsel and government lawyer Anthony Astaphan who is expected to lead the government’s defense have expressed confidence that Prime Minister Skerrit will prevail in the courts. Interestingly, the UWP does not appear, at least at the moment, to contest the DLP’s alleged paying of plane tickets for persons to vote in selected constituencies. Before the elections, former Chief Justice of the Eastern Caribbean Court of Appeal Sir Brian Alleyne had opined that if the allegations were true that this could be interpreted as bribery, which are against Dominica’s laws. According to Dominica’s electoral laws, if bribery can be proven in court, the person paying the bribes would have to forfeit their win, if, during the course of the elections they had won. The person receiving the bribe could also face jail time. The UWP would not say if they would pursue the bribery allegations. The UWP have retained the services of Trinidad and Tobago Senior Counsel Douglas Mendez who presented their case before the courts. The DLP won a landslide 18 - 3 in the twenty-one seat parliament. Meanwhile, The UWP previously announced that they would not attend parliament, thus raising the prospect of bye elections in the three constituencies that they have won. Ron Green is a US Citizen and a holder of a US Passport. So to is Sam Raphael and Bobby Frederick. Eddison James is a British Citizen and the holder of a British passport so to is Bernard Willshire. All of these people contested the recent general elections. All except Eddison James lost. What's your point, you idiot - Ron, and Bernard attained their foreign citizenships prior to the age of 21. Therefore, they are not in violation of the constitution, stop displaying your DLP ignorace and stupidity. Mr. Skeritt is in violation of the constitution, because, he acquired his French passport after age 21. The point is that the UWP lost and as usual they are cry-cry babies. Every election that the UWP has lost, they have complained in the court about one thing or the other. All prior court complaints filed by the UWP have gone down the gutter and prove that they are a bunch of players that can not handle results when they have been beaten, even after they have tried their best play!!! Let them go to the courts. That's their democratic right guaranteed under our constitution in our DEMOCRATIC LAND. So why may I ask are they asking to restore democracy if they are clearly enjoying all the democratic freedoms available? I only hope that they do not start accusing the courts of being undemocratic if they loose the cases. I already hear some of their supporters preluding a defeat. I hope these people do not really believe that once they loose something then they were automatically cheated. If that's the case then they are the ones who are the REAL THREAT TO OUR DEMOCRACY. Everyone should remain silent while Democracy works. Of course the courts are an integral part of the democratic process. So Silence should prevail while this important aspect of our lives makes its way through the courts. Please people for the sake of our country-not for Ron,not for Skerrit not for Pestina's sake--it is for Dominica. If the court of public opinion ( free and fair elections in accordance with the laws of the land )cannot solve the issue or issues in a fair and satisfactory manner, then the legal courts must have the last word--not for Ron -not for Skerrit, not for Pestina but for Dominica and its future. Also lets conduct ourselves in a mature manner with respect and dignity--no need to call names and take out 'mayprie. Mr. Webmaster please delete these entries which you deem inappropriate. Amen to that!! !Anonymous : January 11, 2010 6:27 PM Let's see if your prudent message will be heeded! I sincerely hope that it is. McCoy I have also noticed the slant in the reporting. I know and respect Thomson and I am sure that our perceived imbalance is not a deliberate effort on his part to infect the news. It would seem that free and fair elections signify only one thing for some people: a UWP win or nothing. I think you have to look forward a little and see the trees not the forrest and ask yourself why would Skerrit want a french citizenship in the frist place? is he ashamed to be a Dominican? I believe that there is an underlying reason there has to be. The french privacy laws are inviolate and is a bonus for people of power to use to the full, Sadam Husien being only one, there are many however who have done many wrongs in their country and then vanish into the French system and can not be touched by anyone due to these very strict privacy laws. Skerrit want a French citizenship for the same reasons Ron Green (and many others) want and have USA and other country’s citizenship. Anyone and everyone can and should revoke foreign citizenship to rule Dominica!! Indeed, we should have to look forward a little and see the trees not the forest! You should take all that heart-pounding theory and write a book or script to a movie. Then we can actually see how many people actual buys into your tim-tim-bwa-chesh! You people, in you sick little way, always think that you know something that the rest of us don't. Maybe we should continue this and play along with this gag of yours and make you believe that you actually do know stuff...so we can actually see how far you and your kind will go with this pathetic conspiracy thingy!! After saying all this, I hate to burst your self-centered bubble and inform you that Mr. Skerrit is the Prime Minister of Dominica and was recently overwhelmly elected by the citizens of this lovely country call Dominica. So you can save your tim-tim-bwa-chesh and all other conspiracy theories for another day and join the population in this new wave of hard work, patriotic togetherness, and nation building. Keep it up, keep it up, and skerro will be in for another ten years.so all those who dying to take his place, all u better apply for all u forign passport too. tell me something UWP did not have money to make a manifesto. They have money to gie lawyer well that is all good. the treasury of Dominica will benifit. "In the Nov. 2008 elections in the USA, incumbent Senator Norm Coleman from the state of Minnessota had a lead of over 700 votes. On Nov. 18th the official results certified Coleman was leading by only 215 votes...."
Please note that leading in the polls is not a declaration of a win. The constitutional, automatic re-count established a win for the challenger, Al Franken. The results of LaPlaine IS strange because Ron was declared winner. Democracy – The Dominica Model! Since the recently held elections in Dominica I have come to realised that Demcracy has taken a new meaning in Dominica. No longer must the will of the majority be respected and accepted instead Democracy in Dominica is that a very vocal minority must have its way no matter what the Majority do or say. During the last election this vocal Minority has decided long before the people voted and the results known, that there could only be one possible and probable outcome and no other result would suffice. That vocal minority had already made the decision for the voting Majority that there must be a regime change and that the Labour Party must loose the election. No other result was possible or probable. The opposition had to win. This was the only acceptable outcome which was possible and probable. Alas on December 18th the Majority spoke clearly and loudly under absolutely no duress and provided a different outcome. The Majority had no say in this since the vocal minority had already made the decision for the Majority. In that scenario, the Majority had to be bribed to give a different outcome. Democracy is under threat in Dominica because the Majority has given a different outcome than what the vocal minority had decided and anticipated. Therefore, the vocal minority forms an organisation to Restore Democracy in Dominica because the vocal minority must have its way. There must be a regime change and the Majority could not decide anything different. Never mind that in thirteen (13) constituencies the Labour Party won by well over 250 votes, in two (2) constituencies Labour won by well over 100 votes, in one (1) constituency Labour won by 75 votes and there were three marginal constituencies which the Labour Party won two ( by two and five votes respectively) Roseau Central won by the UWP by three votes. Never mind that the UWP lost some 5,000 votes and only received 12,000 votes. Never mind that the DLP got about 10,000 votes more than the UWP. In the1995 elections the UWP won eleven seats with 12,000 votes, however in that same election DFP received 15,000 votes and the DLP received 11,000 votes. The UWP formed the government with a minority of votes. Never mind that once DFP and DLP combined and remained so , there was no way the UWP could win an election in Dominica. The 2009 elections clearly demonstrate that fact. The UWP and the vocal minority was hoping that the DFP would so split the votes so that UWP would win with a minority of votes and the 1995 situation would repeat itself. Fortunately or unfortunately that did not happen. DFP all lost their deposits. Former supporters of the DFP all voted DLP en-mass. The 2009 election demonstrated the will of the Majority and that must be accepted and respected by all. No kind on machinations will work. I really do not believe that any right thinking Court of Law would reverse the will of the voting Majority which was given under absolutely no Duress. It is utter rubbish to state that over 10,000 people were bribed to vote for the Labour Party. Hence, the UWP and the vocal minority is just about wasting time and money. These challenges will definitely go no where. To Anonymous at 9:37pm, Please if you cant elevate yourself from the gutter do yourself a favour, stop demonstrating your Tom foolery. You are really demonstrating your lack of understanding of the debate. I have come to understand that it is even more entertaining when I just read what is being written. Boy, Boy, Boy!! From now on, I will just read and continue allow my Dominican folk to entertain me!! Amazing, absolutely amazing! Jude are you suggesting that the UWP should not use the legal means open to them if they thought they were wronged? Are we going to hang Jude for simply stating the inconvertible facts, carefully analysing and evaluating them, then drawing the most logical conclusion? Had thedominican.net simply done their homework, they would not have been so confused about predicting the results of 2009. This is the kind of research and analysis that you are suppose to do if you want to be relevant. Nonesense about elections too close to call. Bravo Jude! Bravo! Very well done. Keep it up! Morris you appear to be quite snug in your hindsight 20/20 vision. I don't think many persons could imagine an incumbent party in their third term increasing so dramatically their majority. All the more reason why this election result make for interesting study. Anonymous January 13,2010 11:50AM: so just because its not the norm for incumbent parties to win so handsomely in the third therm, you based all your predictions on this one fact and declared the elections too close to call without even having done your research on the ground, and totally ignoring two scientific polls conducted by a reknowned Caribbean pollster. Well Boy, that goes to show how so-called ivy league educated people can be brought down to the lowest level of ignorance and stupidity when they become consumed and blinded by their own personal egos and hatred of one man. Once one looses his sense of objectivity and the really which surrounds him then no amount of university degrees or training can save him from making a fool out of himself, and this certainly is the case of many of the contributors to this site. Well written Jude Nicholas. You could not have stated the facts better. I would like to hear what Dr Clayton Shillingford, Dr. Pascal and Dr. Fountaine and the other so called "vocal minority" have to say on this piece. They had already written off the Labour Party. More than anything else, what my esteemed friend Jude is demonstrating with alarming clarity, is that while we are being chastised into believing in a Skerritt dictatorship, a more virulent tyranny by the minority is being insinuated on the Dominican people. Having succeeded as a governing minority, the UWP has no interest to engage in any propositions that would expand its base of support. The old strategy of divide and conquer is its sole political plan. Thankfully, the election results was unequivocal in dismissing this dastardly campaign. Enough already! Lesson learned, it realised that its days as a political party are diminishing and has quickly morphed into a protest movement. Bon voyage! On the other hand, it is inexcusable for one to speak of making any kind of political analysis, without first looking at the statistics of the prior elections. Maybe,just maybe, the revelation would not be consistent with our personal agenda. Excellent analysis Jude Nicholas. Wish we could get more contributors doing such analysis rather than just posting their unfounded bias. Why is it so dificult to unearth this article? By reinstating this Article and commentary you have demonstrated a profound sense of balance and heightened your worthiness. Cheers my friends at thedominica.net. Hats off to you! Facts clearly stated by Jude Nicholas. However we can expand the debate further with more facts. In the 1995 election, out of the eleven seats won by UWP, four of those seats were won on the first past the post basis. That is in four constituencies which the UWP won at that election, the votes of the combined opposition was much greater than the UWP winning candidate. Therefore had the DLP and the DFP arrived at an agreement in 1995 and came together to contest that election, the UWP would have never had the opportunity to form the government in DOMINICA. In that election we could have had a possible 14-7 in favour of a DLP/DFP coalision. Hence, the UWP has always been a minority party in Dominica and over the years has done nothing positive on the ground to increase its political support base. Instead the party consistenly encouraged the DFP to regroup and contest the election as an independent party. That was their only hope of winning an election. On the first past the post basis. Both the UWP and the DFP are in my view "dead" as political entities in Dominica. We now need a new political entity to start from scratch with eyes set on the 2020 elections to possible form the government in Dominica. With eighteen seats, it is very unlikely that Labour Party barring no major misshap would loose in 2015. Remember Patrick John's Labour Party won 17 seats in 1975 and in 1979 was ousted from office. I do not envisage a repeat. Thank you very much Jude for your factual comment and analysis it opens a new level of debate.